Will Amel arrive in time? With the armies of Baojang at her back and her own army of dragons, Amel might seem unstoppable, but she is far from the heart of the Dominion where the true battle rages and time is running out. To make matters worse, Amel is finally starting to uncover the motives behind the war, but her answers bring even more questions. Will she solve this riddle in time? 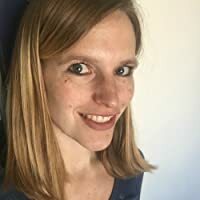 DUST OF DEATH is episode seventeen of Dragon School – an Episodic Fiction series that combines the fun of reading with the fast-paced excitement of your favorite tv show. Expect a new episode every eighteen days! 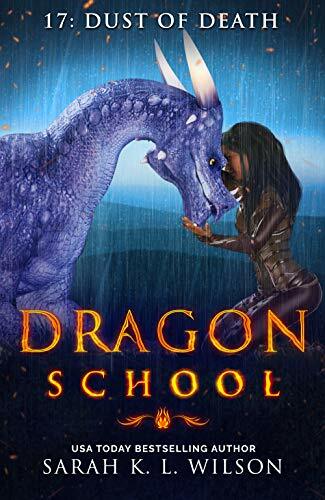 Dragon School: Dust of Death is Book 17 and another fast paced story. With the destruction of a city behind her and the guilt still fresh in her mind, Amel has to face one of her greatest fears ahead, but Raolcan will be by her side. 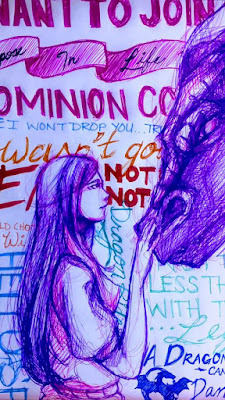 She ponders on what it is that everyone wants from the Dominion while leading the dragons toward another battle. And, she makes the toughest decision of her life while Raolcan vehemently objects. This episode has my favorite scene with Leng in it! With the Dusk Covenant's armies rushing to join the battle around Dominion City, Amel has one chance to trap them and hold them in place while her slower allies catch up. But with Ifrits and Magikas fighting against her, a hidden plot meant to entrap her, and a surprise show-down between two enemies, will she be able to stop them, or are the odds stacked too strongly against her? TROUBLED WAR is episode eighteen of Dragon School. Expect a new episode every eighteen days! 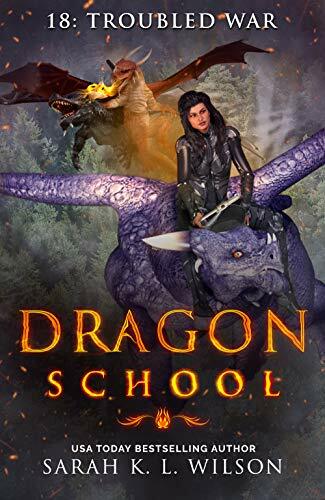 Dragon School: Troubled War is Book 18 and possibly the most intense and saddest story in the series. Amel and her friends have been fighting epic battles, but this is all-out war and, in many ways, a final last stand. The Dusk Covenant with their powerful Magikas and demon Ifrits are not so easily vanquished. Will Amel and her friends survive the battle? Like most of the books in this series, this one ends on a cliffhanger! Disclosure: I received an ARC for each book. These are my honest and voluntary reviews.